I don’t know about you, but it was stressful for my parents sending me off to school in September knowing that I would be making many food choices on my own without them present. ALL children should be able to make healthy food choices. Children with PKU, MSUD, TYR or other metabolic disorders are no different. Learning healthy choices can begin at a young age when you grocery shop and prep food in the kitchen together. Pack lunch in fun, creative containers in all different sizes. Use an insulated lunch tote with ice packs to keep food and formula cool. Make lunch colorful with a small amount of different veggies, such as baby carrots, cherry tomatoes, cucumbers, yellow peppers, etc. Prepare, weigh and measure food ahead of time to speed up mornings. Give your child a low protein “surprise” snack like homemade cookies or a cupcake. Write a special ‘good job’ note or include a sticker 2-3 times a week. Send formula in a fun re-usable drink container or sports bottle. Plan ahead with a 5-day menu to ease grocery shopping and food prep. Try a ready-to-drink formula if unable to mix formula at school. Involve your child in shopping, prepping and weighing their own lunch. Periflex® LQ is a great tasting, ready-to-drink that provides 15 g of protein equivalents with 0 mg of PHE. (For PKU Only). Great for school lunch! 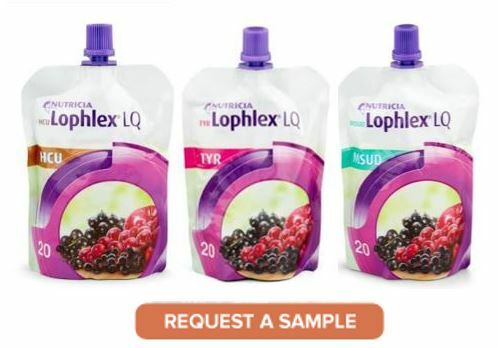 Nutricia also offers the Lophlex® LQ line of Ready-to-Drink formula options for Maple Syrup Urine Disease (MSUD), Tyrosinemia (TYR), Homocystinuria (HCU) and Phenylketonuria (PKU). Lophlex LQ is a low volume, quick and easy way to get 20 g of protein equivalents. As always, check with your dietitian if these products are appropriate for your child prior to making any changes to their diet. Ask your clinic about Periflex LQ or Lophlex LQ Today! 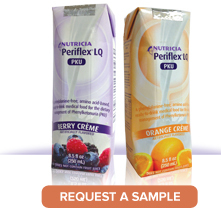 Periflex LQ is a medical food for proven Phenylketonuria (PKU). Lophlex LQ is a medical food for proven Maple Syrup Urine Disease (MSUD), Tyrosinemia (TYR), Homocystinuria (HCU) or Phenylketonuria (PKU). Must be used under medical supervision. Please consult a metabolichealthcare professional prior to making any changes in your child’s diet. The return to school is an exciting time of year. 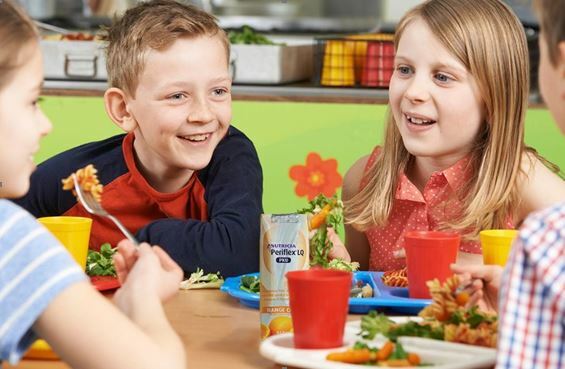 But for a parent of a child with a metabolic disorder, such as Phenylketonuria (PKU), there are also certain concerns and stresses that comes with the start of school. Each year you may be faced with educating a new teacher or school nurse about PKU. 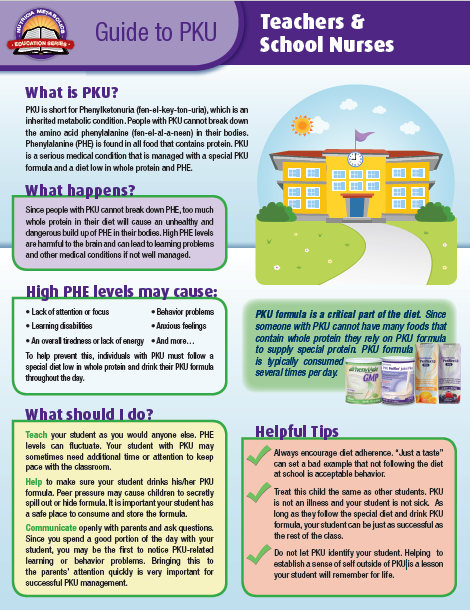 Nutricia Metabolics is proud to share an educational handout to help you inform your child’s new teacher and/or school nurse about PKU. 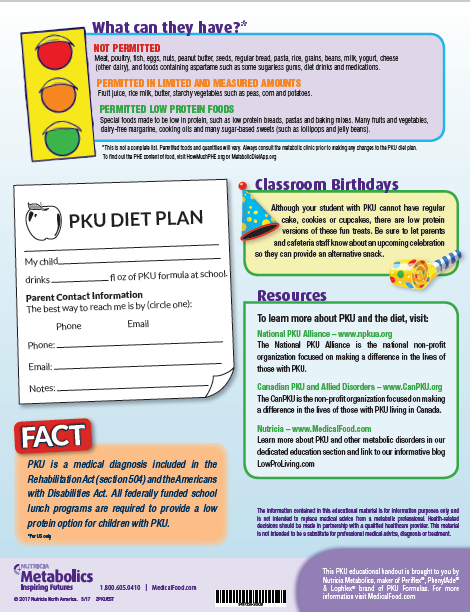 It includes information about What PKU is, What happens, How it is treated with additional classroom tips for the teacher. Get Ready for Summer with PKU Lophlex LQ! Summer is one of the best season! Long days, fun adventures, amusement parks and the warm sun are just a few reasons summer is such a great time of the year. When you have PKU, you also need to think about how you will transport and drink your PKU formula when out for a full day. Don’t imagine it any longer! Try PKU Lophlex LQ, a great PKU formula for summer. Each ready-to-drink pouch is protein packed with 20 g of protein equivalent and only 120 calories. Lophlex LQ are low volume and ready-to-drink which is great for life on-the-go. Plus, it is the only low volume, ready-to-drink PKU formula made with real fruit juice* from concentrate for a refreshing taste on a hot summer day. 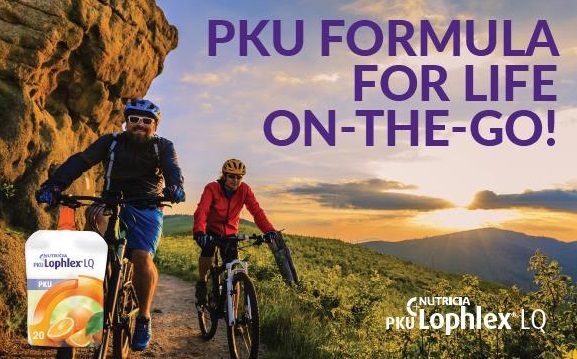 Try PKU Lophlex LQ Today! *Juicy Orange contains 45.5% juice. Mixed Berry Blast contains 44.1% juice. Juicy Tropical contains 28.4% juice. 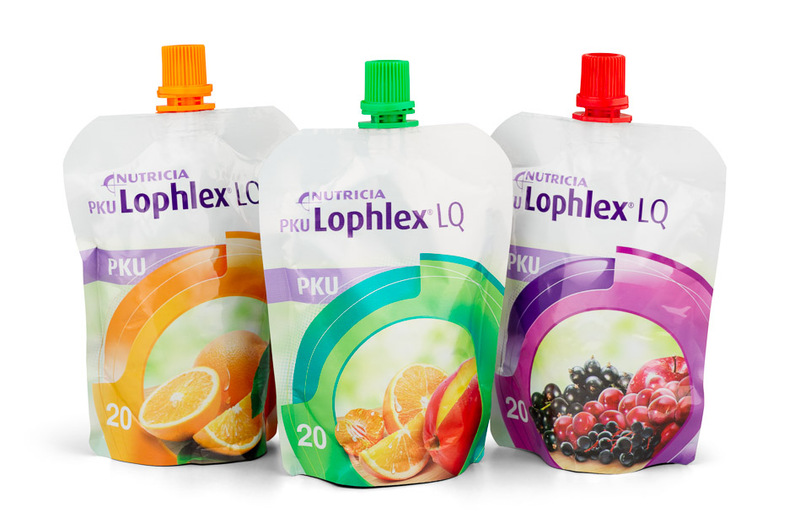 PKU Lophlex LQ is a medical food for the dietary management of proven Phenylketonuria (PKU) in individuals over 4 years of age. Must be used under medical supervision. Consult your metabolic clinic prior to making any changes to your metabolic diet. PhenylAde GMP Mix-In is a medical food for the dietary management of proven Phenylketonuria (PKU) and must be used under medical supervision. Always consult your metabolic healthcare professional prior to making any changes in your PKU diet plan. Working to get insurance coverage for medical formula can be a long and frustrating process. You many not always know the right questions to ask, the process for coverage may change along with legislation for coverage of medical formula and you may not know of all the outlets for coverage available to your family. The good news is that you don’t have to face these coverage challenges alone. Do I have to pay for out-of-pocket costs? My insurance denied formula coverage, now what? I am on WIC, is Nutricia formula covered? Our coverage team works with different insurance plans, your dietitian, and if necessary your employer to find formula coverage. Here is one family’s story. Here is one family’s story. Nutricia Metabolic products are meant for use under medical supervision. Remember, always consult an experienced healthcare professional for the management of all metabolic disorders. Families like yours told us they wanted more educational tools to help better understand and teach others about their child’s metabolic disorder. Nutrica is proud to share new, easy to understand, educational books and videos help breakdown complex disorders so you can use them to educate others in your community. You may also find them helpful in teaching your child about his/her disorder. For now, these books and videos are available for PKU, MSUD and GA-1. Our team is working hard to create more for other rare disorders and make them available in Spanish and French. Want a printed copy of the Temple Books? Click HERE for a PDF copy of the Temple Books you can download and print at home. What do you think about the books and videos? Whether you have been drinking the same formula for years or if you are reading this in an effort to return to the PKU diet, understanding the ‘types’ of PKU formula available to you is important. World-wide there are over 60 different PKU formulas! Knowing you have options to get back-on-track or make a change in the future will help you reach and maintain your PKU diet management goals. SHAKES – Many formula options are in powdered form and get mixed with water to make a shake-like drink. Shake-like formulas typically provide a balance of fat, carbohydrate, phenylalanine-free* protein, vitamins and minerals. Shake-like formulas often contain a good number of calories, which may benefit active children and adults with higher caloric needs. *Formulas which contain an ingredient called glycomacropeptide (GMP) contain some phenylalanine. See below for more about GMP-based formula options for PKU. 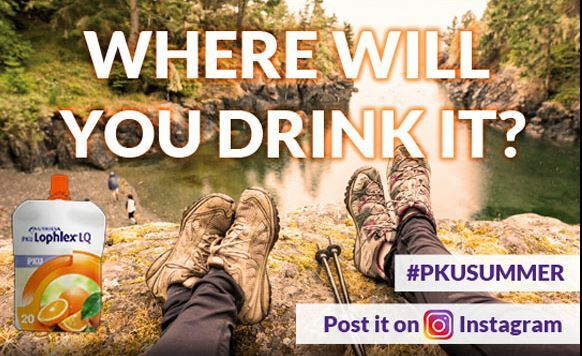 LESS-TO-DRINK – PKU is Diet-for-Life. As you grow and get older you will need more protein from formula. However, you may not need as many calories from formula since you will also consume more foods low in protein. Lower volume formulas typically have less calories and mix with only 3-5 fl oz of water, so you can drink less formula to meet your daily phenylalanine-free* protein needs. This may also be helpful to those unable to finish their shake-like formula due to being overfull. READY-TO-DRINK – Life is busy and staying on diet is of utmost importance, which has made these pre-mixed, ready-to-drink formulas a very popular choice. These formulas come in both the shake-like (Periflex® LQ) and less-to-drink (Lophlex® LQ) options so everyone can find something to meet their needs. Just simply shake, open, drink and go. FLEXIBILITY – Everyone is different and sometimes you need a formula option as unique as you. There are multiple ‘flexible’ options for PKU formula; such as tablets and mix-in powdered formulas. Tablets are an option for people who are unable to drink PKU formula or just want to drink less, but meet their full daily protein recommendation. Mix-In formula powders are another flexible option that allows you to create your own PKU formula. You can add these powders to sports drinks, foods low in protein, or your current PKU formula to increase PHE-free protein content of your favorite shake-like formula. GMP-BASED PKU FORMULA–Glycomacropeptide, or GMP for short, is a whey protein concentrate derived from milk during the cheese making process. It is naturally low in phenylalanine, and with the addition of certain amino acids, it makes a suitable source of protein for those with PKU. Your dietitian will help determine how to count for the PHE in these products. GMP-based PKU formulas are available in many forms. 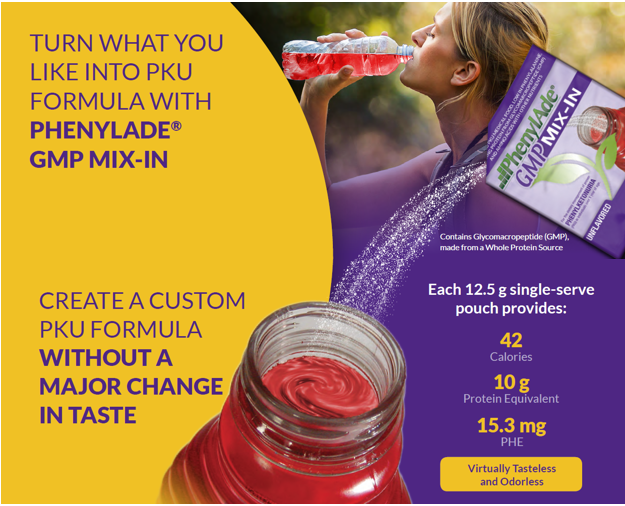 Nutricia has a great tasting shake-like GMP-based PKU formula (PhenylAde® GMP Drink Mix) and a create-your-own option (PhenylAde® GMP Mix-In) that does not significantly change the taste, even then mixed with water! As you can see, there are no shortages of PKU formula options. If you happen to be thinking about changing formulas or returning to diet let Nutricia help you find a PKU formula you will enjoy drinking. NOTE: All PKU formulas must be used under medical supervision. Always consult your metabolic healthcare professional prior to making any changes in your PKU diet plan. Sandy is a Registered Dietitian and Certified Health Education Specialist. She received her graduate training at Columbia University’s Teacher College in New York. She has been working on the industry side of metabolic nutrition for the past 14 years and is often seen at patient events around the country. Now is a great time to re-commit to better PKU diet management. Nutricia has a team of professionals who can assist you, or your loved one, get back on-diet. 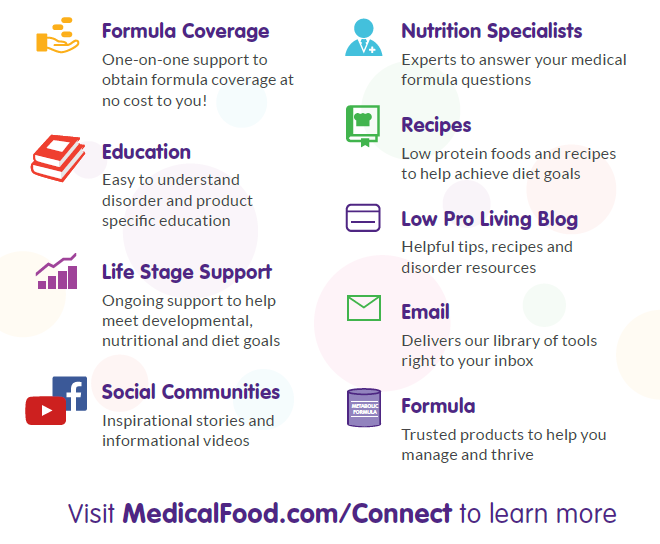 Our help includes personalized support ranging from finding the right PKU formula, to resetting your low protein kitchen, and more. Our Diet-For-Life Care Coordinator can also lend an extra helping hand. You can do it. You are not alone! You can do it – and Nutricia is here to help. Nutricia Connect – Supporting you to live life to the fullest! We understand it can be an overwhelming time when your child is diagnosed with a metabolic condition and you will have a lot of questions. Many of your initial questions are best answered by members of your healthcare team – they are the medical experts! In addition, we are here for you through our Nutricia Connect program. After speaking to parents and individuals with a metabolic condition, we created Nutricia Connect – a comprehensive program that supports families like yours. Here are a few of the support tools available through Nutricia Connect. Let us know in the comment section which of the resources you would find helpful. Tired of always DRINKING your PKU formula? Did you know that there are other options? *Speak to your dietitian to see if Phlexy-10 Tablets are right for you. Here are our Top 10 reasons to use Phlexy-10 Tablets. Which one is your top reason? 1. A quick and easy source of PHE-Free protein you can take ANYWHERE! Don’t Skip Your Last Serving of PKU Formula! Talk to your Metabolic Dietitian Today! * For the dietary management of proven Phenylketonuria (PKU). Use under medical supervision. You must consult a metabolic healthcare professional prior to making changes to your PKU diet plan.